RADS have been operating since 1993, providing a variety of different document services to business within Derby and the surrounding areas. Our professional team carry out fantastic document management solutions, with services including document storage, document scanning and document shredding. Our services come with many benefits to your business, but one of the best things about the work that we do is that we take the weight off of your shoulders, taking responsibility for the secure and considered management of your documents. We are able to tailor our services to the specific requirements of businesses in and around Derby, with great customer service a big part of the way in which we function. 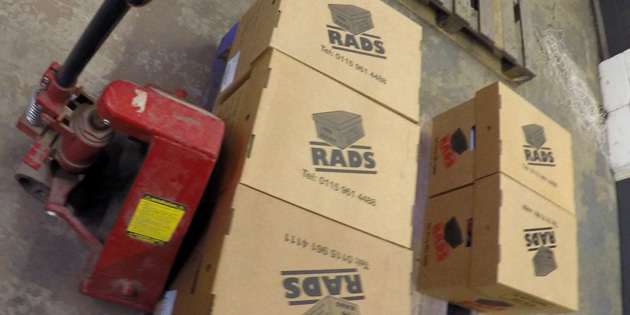 RADS provide a very secure and organised way of storing your documents, which is very useful to businesses that work with paper and other documents on a regular basis. 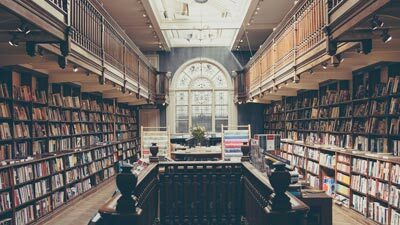 As many documents within a business can be sensitive or important, the business may not want to destroy them but may also not have enough room to securely store them. 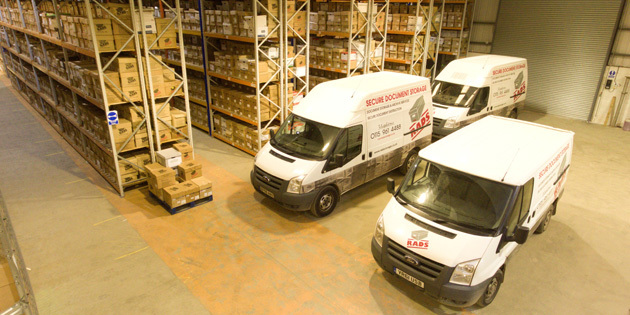 That is why we provide a very secure storage service, using scientifically designed boxes that are flame retardant and sized specifically to be stored in an organised way. Documents are stored within our alarmed, CCTV monitored base. 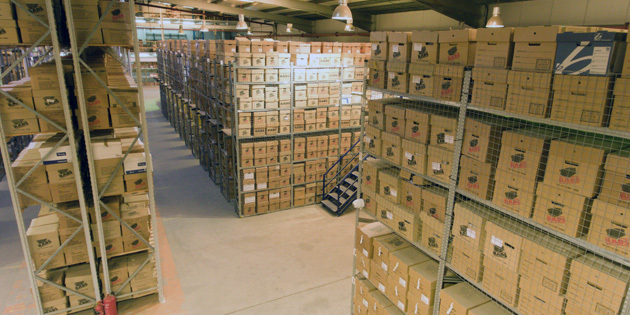 Your documents are bar-coded to work with our unique management system that lets us track and locate your documents in our warehouse should you need to retrieve them. 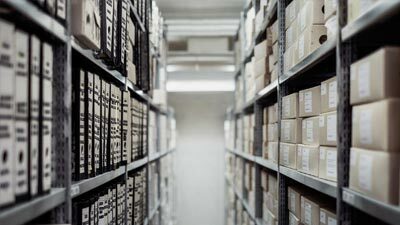 Document storage Derby is an effective service that many businesses use, especially due to the convenience that we provide throughout the whole process. Through our free collection service, we will collect your documents and transport them to our CCTV monitored base, providing secure protection to them at all times. 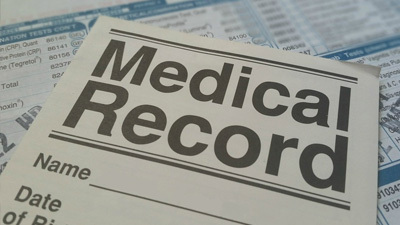 To ensure that all documents are tracked and properly managed, we utilise a unique management system that can help us to quickly locate specific boxes and provide us with all of the relevant details about them. 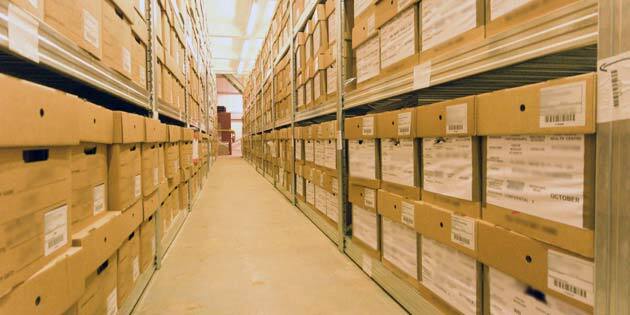 Get in touch if you’re interesting in finding out more about our document storage in Derby. You can reach us by phone, email or through our contact form. Our document scanning service is in place to specifically help businesses to digitise their documents, giving them easy access to them without having to search through other documents to find what they are looking for. For businesses within Derby and the areas that surround it, we collect your documents free of charge, creating space within your working environment and making it easier for you to work effectively. Once we have scanned your documents, you will have quick access to them digitally, speeding up the process of looking for certain documents or pieces of information. Dependent on what you would like to do next, we are able to return, store or destroy your documents – the choice is yours. 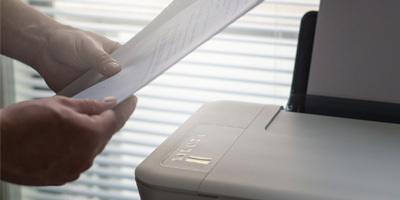 Document scanning Derby is a fantastic service that has benefited many businesses that we have worked with, making their business operations much quicker and simpler than ever before. Get in touch if you’re interesting in finding out more about our document scanning in Derby. You can reach us by phone, email or through our contact form. A business can often be left with many unwanted or no longer needed documents, specifically after a project has ended or a customer leaves their business. 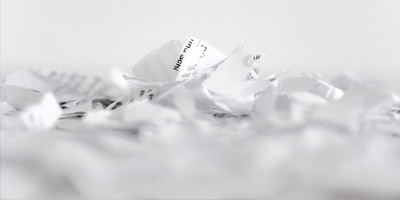 Document shredding Derby is a fantastic service that we offer to help businesses confidentially destroy their chosen documents, following through with their duty to destroy sensitive customer information when necessary. 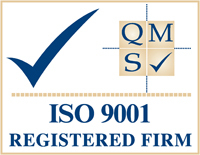 Having received written instruction from you via a pre approved contract, we will retrieve your documents free of charge and shred them at our secure facilities, using effective techniques that our professional team have great experience in implementing. Many businesses benefit from our document shredding services in Derby, which helps them to fulfill their duties with minimal effort and peace of mind that we have professionally disposed of their documents. We have a fantastic team that have great experience of delivering all of our services, and we provide great customer service to all of our clients. If you would like any further information regarding our document shredding services in Derby, contact us by phone, email or through our contact form.